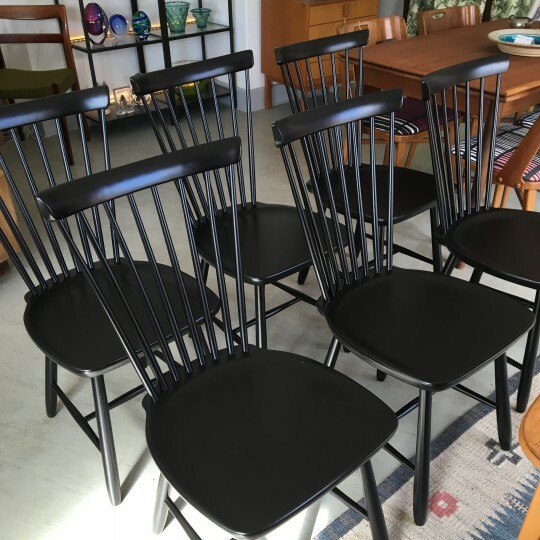 Four beautifully painted and restored black chairs - Lilla Åland designed by Carl Malmsten. Two of the chairs are sold. The price is for the rest four.